Al dolce guidami , a setting by Felice Romani, was composed by Gaetano Donizetti in 1830 (D Major) and premiered the same year. This aria is part of Act II of his Anna Bolena. Aged 33 in 1830, Donizetti composed Anna Bolena at the height of his maturity and talent. It is one of the four historical operas Donizetti wrote, inspired by the Tutor period in England (among Il castello di Kenilworth, Maria Stuarda and Roberto Devereux). Anna Bolena will be an overwhelming success, propelling Donizetti to the status of internationally acclaimed composer. Act I opens on courtiers discussing, in the queen’s quarters, the fact that the king is in love with another woman. Jane Seymour enters at the call of the Queen. The Queen, Anna Bolena expresses how sad she is. They all leave except Jane Seymour. Henry VIII enters and tells her he will soon be able to marry her. In the next scene, Anna’s brother, Lord Rochefort asks Lord Richard Percy if it is true his sister, the Queen, is unhappy. Percy has come back from exile and Henry and Anna express their surprise when they see him. Henry asks Hervey to spy on the two, as Anna was Percy’s first love. In the next scene, Anna and Percy meet while Smeaton, a musician, is hidden, observing the scene. Percy tells he still loves her, but she rejects him. Out of despair he tries to stab himself and Anna cries out of fear. Smeaton rushes to her rescue. Smeaton and Percy are about to fight when Anna faints and Rochefort arrives. Henry VIII enters and declares these people have betrayed him. They deny but are, nevertheless, put in prison. Act II opens on Anna and some ladies, telling her, her place lies in heaven. As the ladies leave, Jane enters and tells Anna that she can avoid death is she admits guilt. She refuses and claims her innocence. Janes confesses she will be the future queen and Anna asks her to leave after saying Henry VIII alone is to blame. In the next scene we learn Smeaton is been manipulated into confessing a crime in the hope of saving Anna’s life. Henry VIII accuses Anna of having made love to Smeaton and enounces Anna and Percy will be executed. Janes enters and tells Henry she refuses to be the cause of Anna’s death. He tells her nothing will make him change his mind: Anna will be executed. Later, Hervey lets Percy and Rochefort know they have been forgiven. As they learn Anna is to be executed, they chose to die along her side. The next scene opens on Anna imagining her wedding day to the king. She imagines she is taking to Percy and asks him to bring her back to her childhood home in her aria: Al dolce guidami. 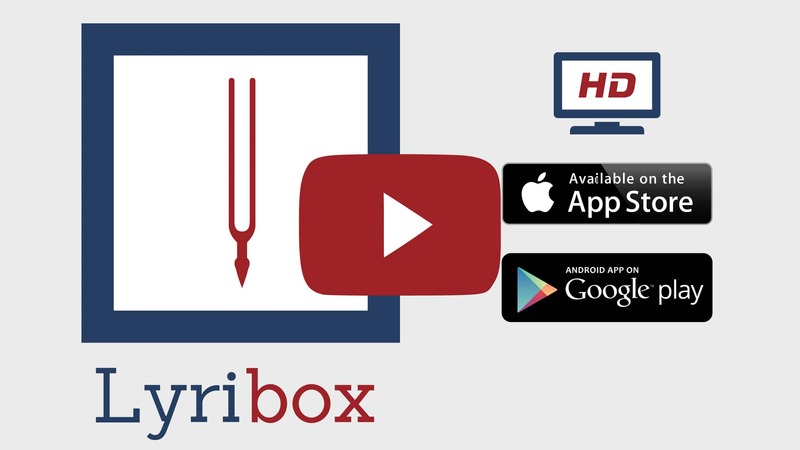 Lyribox, the popular online platform for classical sheet music, accompaniment and ipa translations brings the best by G. Donizetti by offering the sheet music, accompaniments and translations to the fans gathered around the site, for the best price that could be found online. The sheet music, accompaniments and translations provided by Lyribox for are of highest quality and accuracy. Al dolce guidami originated was composed by Gaetano Donizetti. The original lyrics are in Italian. The melodious note arrangement of Al dolce guidami ranges from pianissimo (very soft) mellow notes to forte (loud) notes carrying the player and the audience through an array of vivid emotions. The sweet soft beginning of the music piece gradually increases and decreases the loudness in smooth transitions. This music piece is decorated with phrases, slurs and an arpeggio. A perfect composition for piano players to try with an intermediate knowledge in music. Students can make use of this sweet music piece to improve their knowledge in music expressions, ornaments and sight-reading, while all music lovers could enjoy this brilliant extract whole-heartedly. Al dolce guidami sheet music produced by Lyribox is clear, precise and is transcribed in English by Lyribox. By purchasing Al dolce guidami sheet music from us, you can simply sing along as you play this masterpiece on your piano. Unlike many sheet music sold online with all black notations, sheet music we offer you is marked using three distinct colors. While piano notation is illustrated in black, the music expressions and the lyrics are given in red and blue respectively. Get Al dolce guidami by G. Donizetti sheet music from Lyribox today to enjoy and share this wonderful music composition with your friends and family. Al dolce guidami piano accompaniment is offered by Lyribox is mellow and smooth. It feeds the poem an underlying pulse, adding a sense of propulsion to it. Meanwhile the vocal line flows in a dreamy leisure manner forcing the audience into a calming and languid mood. The vocal line of Al dolce guidami by Lyribox has the potential to provide slight pitch support for the voice’s sometimes unusual intervals, enhancing the fullness of it. This accompaniment is not at all demanding. Using these rich Al dolce guidami accompaniments you could create one of the most brilliant performances that is pregnant with layers and layers of expressions. Purchase the Al dolce guidami piano accompaniment together with the vocal line accompaniment from Lyribox today!